He was born on December 1974 in Lagos, southwest Nigeria, but he originates from Ilorin, Kwara State. He attended the University of Ilorin where he obtained a bachelor's degree in Law and a Master of Arts (M. A) degree in Theatre Art. He began acting in 1995, the same year he featured in a Tade Ogidan movie titled Owo Blow.He has starred in several Nigerian films, winning four awards as Best Yoruba actor at the 17th African Film Awards popularly known as Afro Hollywood awards at the Stratford Town Hall in London. He also won an award in the same category for the Best of Nollywood Broadcasting Organization of Nigeria Awards in 2012. He has a long list of movies to his credits which includes the much anticipated Sonto Alapata, Wura Ati Fadaka, Ma Wobadan and Buga(a very funny one) just to mention a few. 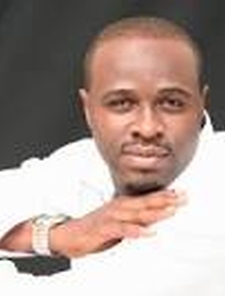 Femi is the MD/CEO of J-15 media network Nigeria. He has masters in law.